Can An Old Return Line Cause Wet Steam ? Loud clunking noises in boiler at beginning of a cycle - suggestions? Enough BTU? convert to hydro-air from steam? New boiler, need new traps? Cap a line at the valve? When is a radiator considered full? Intrepid Install Quandry... Steamhead? Boilerpro? What would I include in a yearly maintenance checklist? Can the supply take-offs and header be oversize? 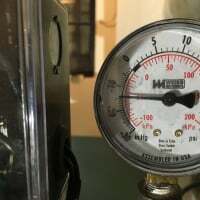 Pressure setting 2 stage questions?